You'll find this station right in front of the reference desk. Please use headphones when using Kurzweil 3000 v13, so other library users are not disturbed by noise. Book Access Stn 1 - Kurzweil for up to 3 hours per day. 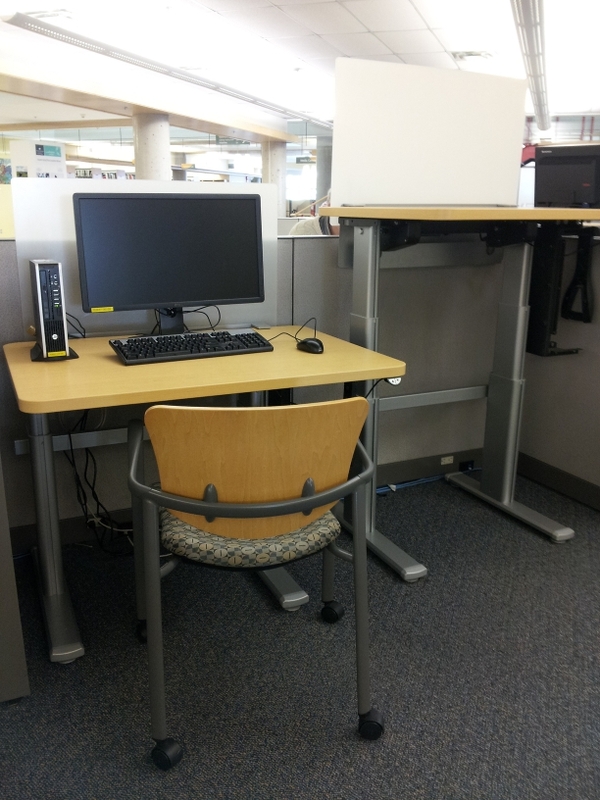 You'll find the Merlin Magnifier station right in front of the reference desk. Book Access Stn 3 - Merlin for up to 3 hours per day. 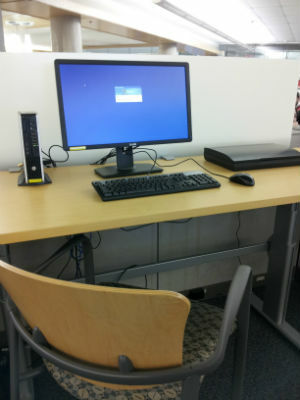 You'll find the ZoomText station right in front of the reference desk. Please use headphones when using ZoomText, so other library users are not disturbed by noise. 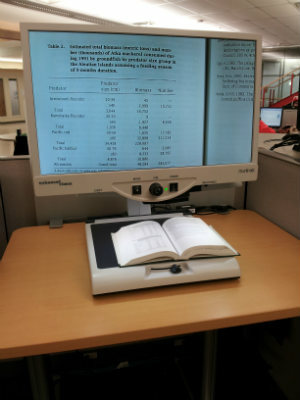 Book Access Stn 2 - ZoomText for up to 3 hours per day. Inspiration mind-mapping software is located on both the ZoomText and Kurzweil stations.